Easy to write on and stick in soil. Durable Wooden Plant labels Garden tags,Ships from USA,Fast shipping. Package Qty:50 Pcs Wooden Garden Plant Label .100% Customer Satisfaction Guarantee. Straight,Smooth,Nicely finished.Easy to write on and stick in soil. 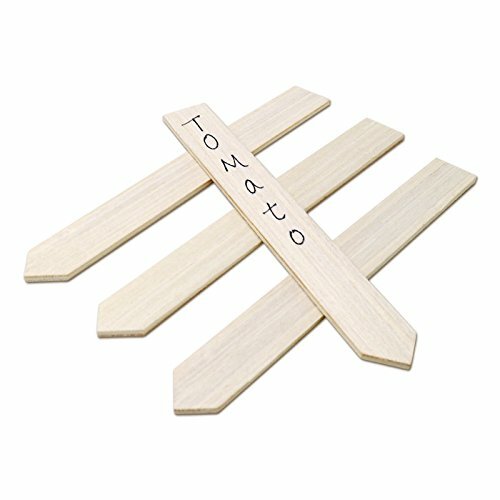 Length: 15cm/6" Wooden Garden Plant Label .Width:2cm/0.8",Enough room for writting. Durable Wood Plant labels Garden tags,will not bend,Ships from USA,Fast shipping. Package Qty:50 Pcs Wooden Plant Label .100% Customer Satisfaction Guarantee.